Hospital Grade Breast Pumps are the grand-daddy of all breast pumps. These pumps are designed for exclusive pumping, where mom and baby are separated, a premature baby not able to breastfeed or for for a mom with multiples. They are also designed to help with a mom who has chronic low milk supply. They can also be used for other circumstances. 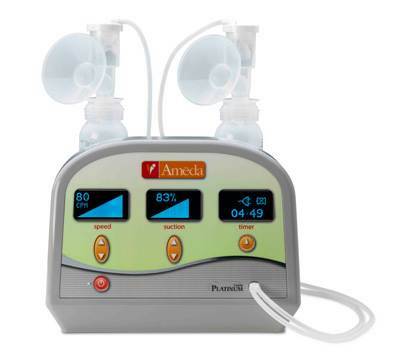 Below are the hospital grade breast pumps that Bosom Buddies carries. All of these pumps have been tested and approved by Bosom Buddies. If you have any questions, please contact us. *Power sources & accessories may be sold separately.